I ran into Sandra right about this time last year. 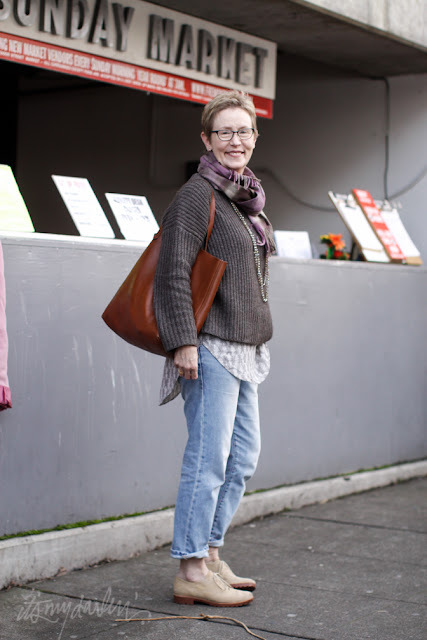 I really love her easy weekend style. So lovely and she's always wearing the best scarves!